NASA has started to release photos of Jupiter's Great Red Spot - and they are earlier than expected! Furthermore, NASA has invited so called "citizen scientists" to aid in the processing of the RAW images. Juno, which began orbiting Jupiter back in July 2016, came to the closest distance to Jupiter ever achieved. In its seventh perijove (the spacecraft's closest point in orbit to Jupiter's centre), Jupiter was only 3,500 km (2,200 miles) above Jupiter's cloud tops. 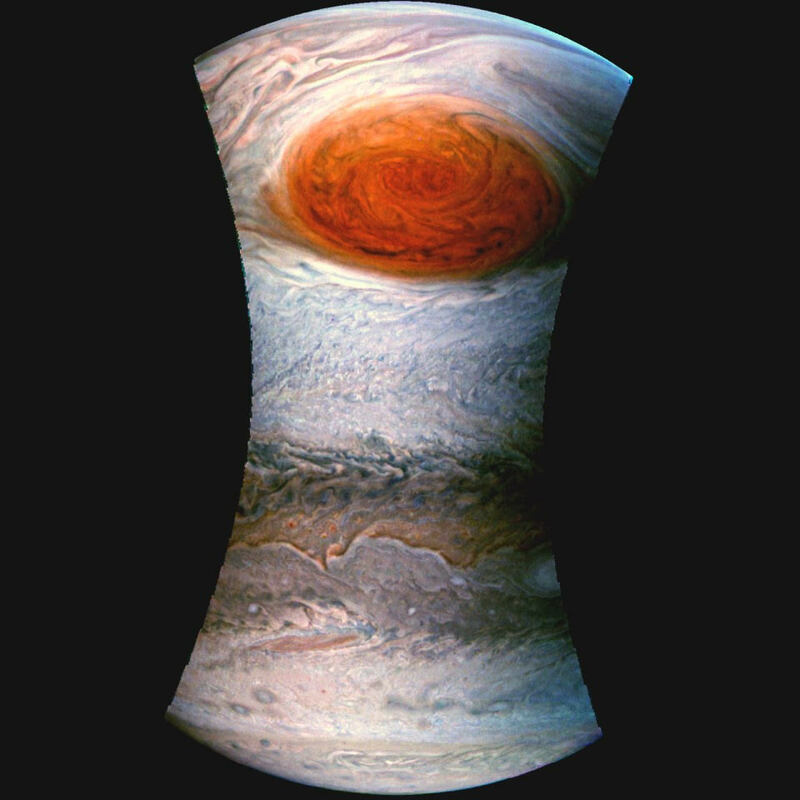 After this perijove, Jupiter slowly got a little bit farther away from Jupiter (about 9,000 km/5,600 miles above Jupiter) before capturing its photos directly above the Great Red Spot.